The Night Manager brings together love, loss and revenge in a complex story of modern criminality. 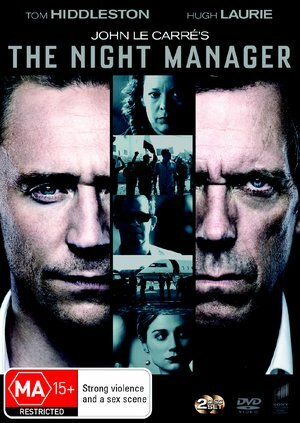 The series follows former British soldier Jonathan Pine (Tom Hiddleston) who is recruited by intelligence operative Angela Burr (Olivia Colman) to infiltrate the inner circle of international businessman Richard Onslow Roper (Hugh Laurie) and detonate the unholy alliance he has created between the intelligence community and the secret arms trade. To get to the heart of Roper's vast empire, Pine must withstand the suspicious interrogations of his venal chief of staff Major Corkoran (Tom Hollander) and the allure of his beautiful girlfriend Jed (Elizabeth Debicki). In his quest to do the right thing, he must first become a criminal himself.